From 2000-2007, NIEHS awarded the Environmental Health Science Center a grant entitled: “Learning Through Environmental Health Science Scenarios”. The final project was named The Hydroville Curriculum Project (HCP). The project was based on a framework that reflects how scientists and experts solve problems. The curricula are structured to help high school students understand the complexity of environmental issues that impact human health and to emphasize that many real-world problems have multiple solutions. 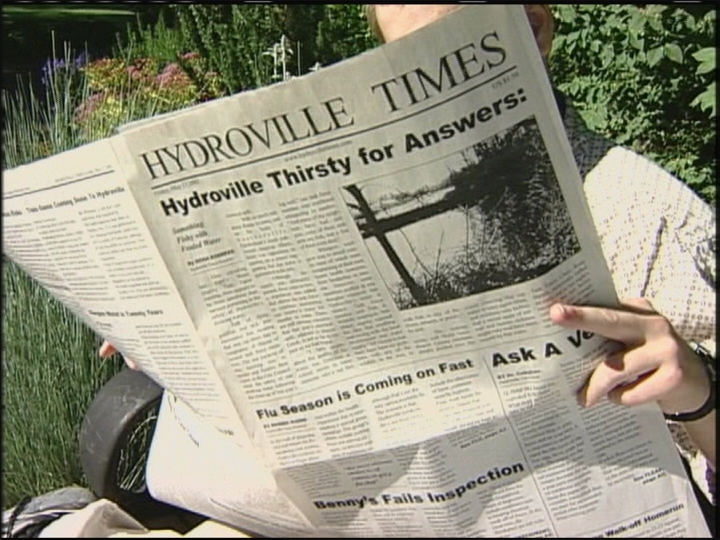 These nine-week scenarios take place in the town of Hydroville, which could be any town in America. Hydroville experiences three environmental health problems that require remediation plans: a pesticide spill, an indoor air quality problem, and a water quality problem. Each scenario is based on a real-life occurrence that has been modified by experts and pilot tested by teachers in high school classrooms. PESTICIDE SPILL: A tanker truck carrying a pesticide overturns near Beaver Creek which supplies drinking water to the town of Hydroville. Student teams, representing an environmental clean-up firm, assess the spill site, develop a remediation plan for the site, and present their findings at a town meeting. INDOOR AIR QUALITY PROBLEM: Occupants in a newly remodeled school building report illnesses and complain of odors. Students take on the role of air quality professionals on a consulting team who identify an indoor air problem in the school and develop an action plan. Students then present their recommendations to the school board. WATER QUALITY PROBLEM: The rapidly growing town of Hydroville has reported an increase in contaminants in the town’s water supply. Students represent experts from an environmental consulting firm hired by the town to investigate the problem. Teams develop various remediation plans and present their recommendations to the city council.